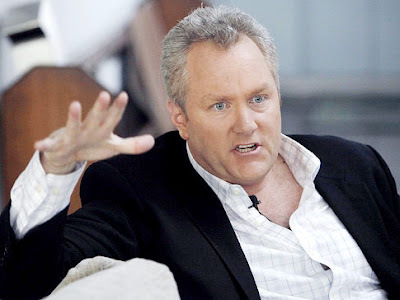 Los Angeles, CA—They either loved or hated Andrew Breitbart subject to their particular political orientation. Breitbart began as a behind the scenes creative force behind both the Drudge Report and the Huffington Post. Soon it was his very own Big Government and Big Hollywood. Breitbart was a master at throwing hot blog content bombs and making waves on the World Wide Web. Breitbart rallied against the formerly all-powerful liberal and politically unified mainstream media in America. Breitbat made a huge difference in the information world during his short life. When you create an Internet news site the most difficult task it to publicize your offering so that the visitors learn of your existence. That can be painfully slow process. I’ve watched great writers and reporters come and go that could only establish double digit hits per day. I have watched less talented quickly gain tens of thousands of hit per day. It’s all about figuring out old-fashioned publicity stunts or for that matter any method that will get you noticed. Breitbart knew where and how to generate viral content. That is the secret to success publishing on the Internet. Phone calls and mouse clicks made by a web promotion expert like Breitbart make some bloggers rich. If you can garner 300,000 hits a day you can quit your day job since advertisers will support you. I’ve not figured out how to do that yet. There are millions of people out there that would love my content but they don’t yet know I exist. Of course if I break news rather than just report it that’s always helps because others will point the way to me. If the masses either love you or hate you it will bring success in blogging. The expected relative safety of measured and moderate blogging is a guaranteed slow and painful Internet death. My readers tend to be either cops, gun rights advocates, lawyers and some TV news folks I’ve worked with over the years. I’d love to have the funding to travel to where news and history is being made. That’s just not happening for me yet. But I continue forward every day. I will continue as long as it's fun.